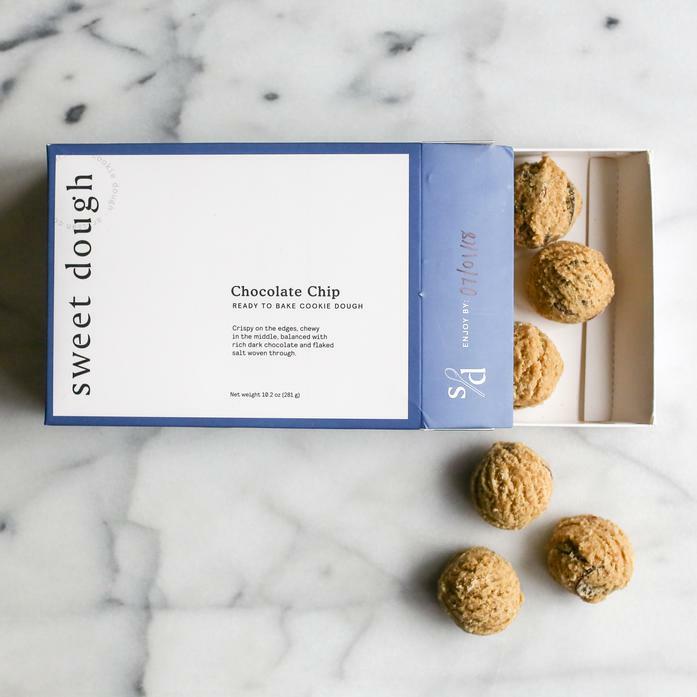 This decadent chocolate chip cookie dough is made with rich dark chocolate made locally in Brooklyn, and specks of flaky sea salt. The result is a crispy on the edges, and chewy in the middle cookie for the perfect mouthfeel. Eat the cookies right out of the oven or sandwich with your favorite ice cream. The possibilities are endless!